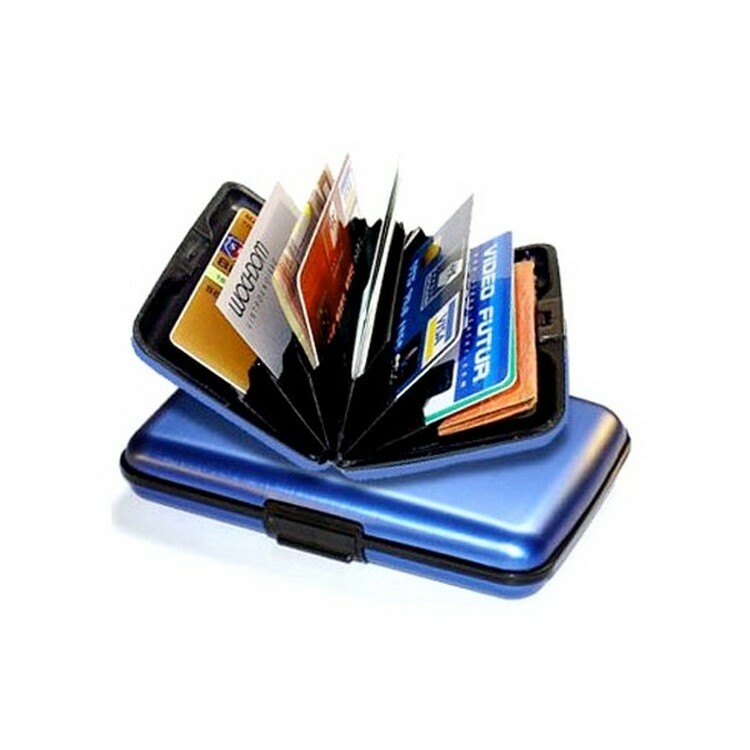 Aluminum Wallet/Credit Card Case can protect your credit cards and cash with the Aluminum Hard-Shell Wallet. The hard-shell case blocks RFID tags now embedded in some credit cards, preventing ID theft. The tear-proof pocket accordion interior neatly organizes cards and bills. Featuring an easy open/close clasp, the wallet is water, stain and impact resistant. 4 3/8 " X 3 " X 1 "